ACCORD, NY – The Catskills Mountains of New York State provide some of the best scenery that can be found anywhere in the world. From the picturesque mountain tops to the lush green valleys, the area provides for a wonderful backdrop for a great Friday evening as the Accord Speedway springs back into action this coming Friday evening, August 31st with a seven division show that welcomes in Labor Day at the “Gem in the Catskills.” The evening of speed will be sponsored by the good people at Tom’s Repair Shop, who also sponsor a number of race cars at the facility. 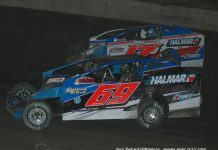 The six regular divisions and the Northeast Vintage Modifieds will go to war on the fast quarter miler and Accord Speedway Race Director Dave Rocket and racer Jamie Yannone from Yannone Enterprises will sponsor a special Sportsman Eliminator competition during the evening. 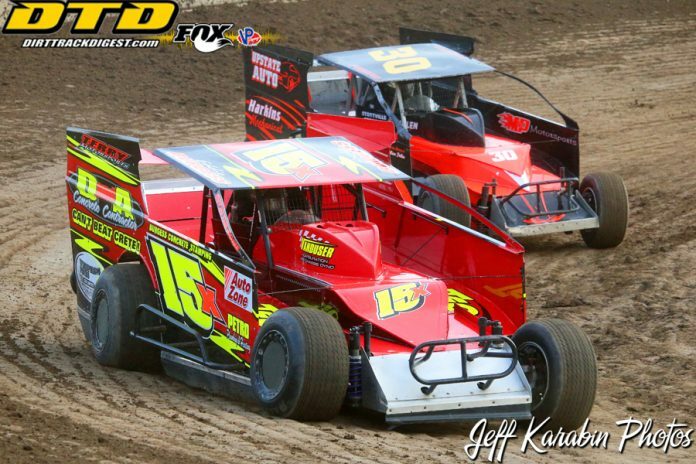 The event is sure to bring out a nice field of drivers and racing equipment as the event will serve as a starting point for the drivers who will be entering the spectacular “King of the Catskills” events scheduled for September 29th. 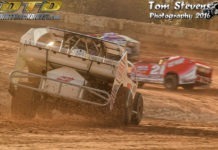 The event will also serve a reminder for those with aspirations for a 2018 title shot to be at their very best with just three points races remaining in the points chases at the speedway. The points have been very tight in some of the divisions and it is always a special achievement to lay claim to a speedway championship. Accord Speedway is also preparing for their third annual First Responders Night at the speedway which will take place on September 7th. Upstate Auto from Germantown, New York will be the headline sponsor for the night honoring all First Responders and the sky illuminaters from Santore’s Famous Fireworks took will once again turn the night time into the day with their spectacular sky-works. The speedway has paid tribute to all of the First Responders who work so diligently to keep our home security safe. Headed up by Jim Silinsky and the Ulster County Sheriff’s Office K9 Team, many pieces of equipment will arrive track-side for the annual tribute. her. DVD Copies of the entire salute to the First Responders will be made available through Accord Speedway Videographer Tom Czaban and can be ordered by phone at: 518-250-0001. 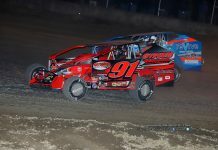 The next event at Accord will be August 31st as the speedway welcomes in Labor Day at the speedway with seven divisions of racing and the special eliminator for the Sportsman racers. The evening is sponsored by Tom’s Repair Shop in New Paltz, New York.